Make sure to enter to win WHMIs 93 Days of Summer contest! 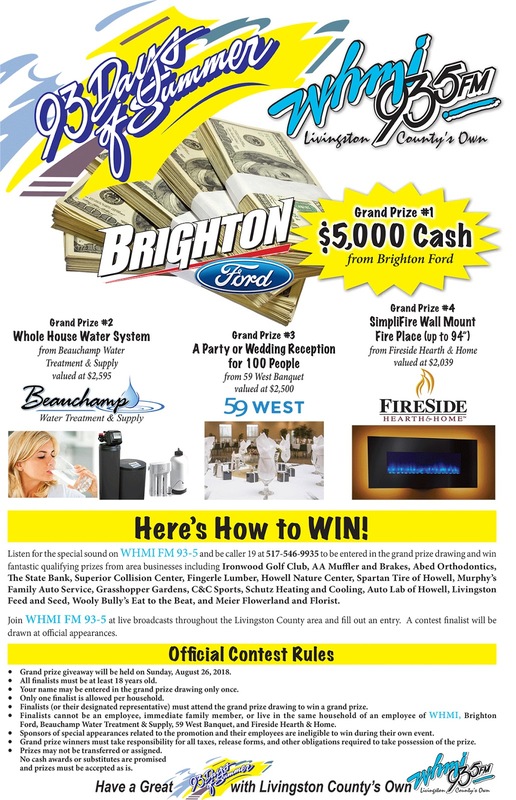 Brighton Ford is proud to sponsor this great contest that gives WHMI listeners a chance to win $5,000 cash from the Ford dealership in Brighton. To win, listen to 93.5 FM for the special sound and be caller 19 at 517-546-9935 to be entered in the grand prize drawing. Many local businesses like the Howell Nature Center and Livingston Feed & Seed are offering great prizes! 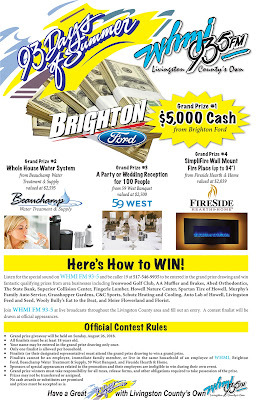 The grand prize is $5,000 cash from Brighton Ford. See flyer for official contest rules.